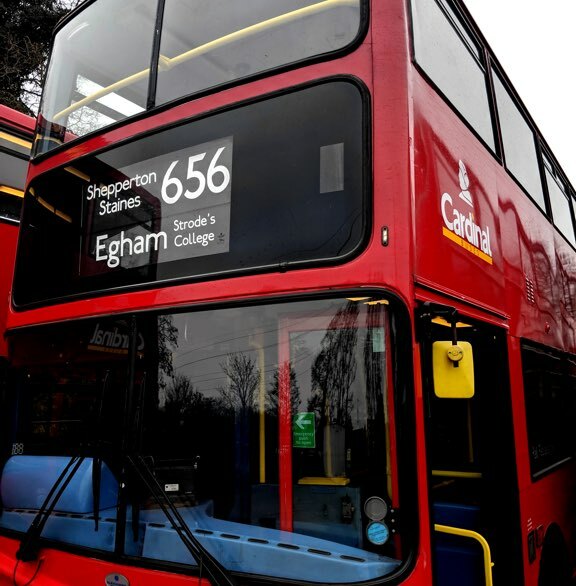 The 656 is a college bus service running term time only, starting at Three Fishes, Sunbury Village and terminating at Strode’s College, Egham in the morning and returning from Strodes College terminating at The Three Fishes, Sunbury Village in the afternoon. Daily and weekly tickets can be purchased on the bus (cash only). Child fares apply to children aged 5-16 and full-time students aged 16-18 (students between the ages of 16 & 19 MUST be in possession of a Surrey Student Fare Card). Save money and hassle with a termly pass.